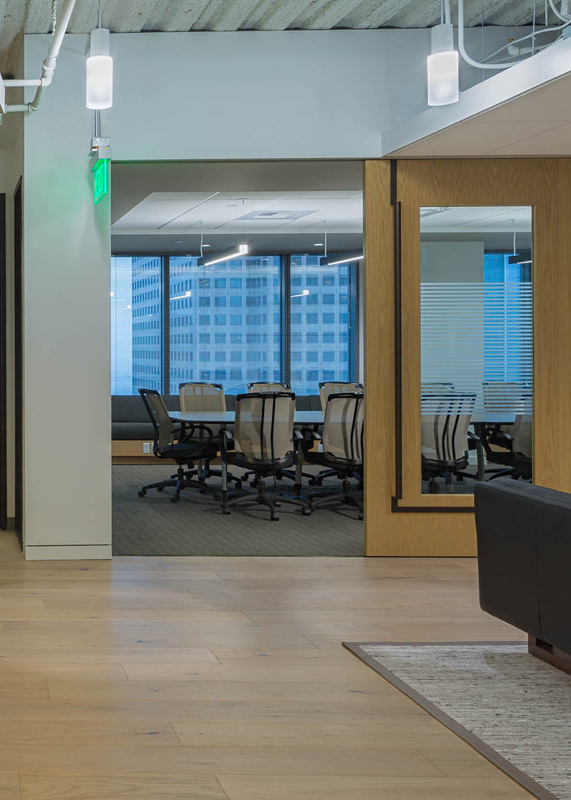 Tenant improvement for a law firm totaling 10,162 sf in the US Bank Centre building. 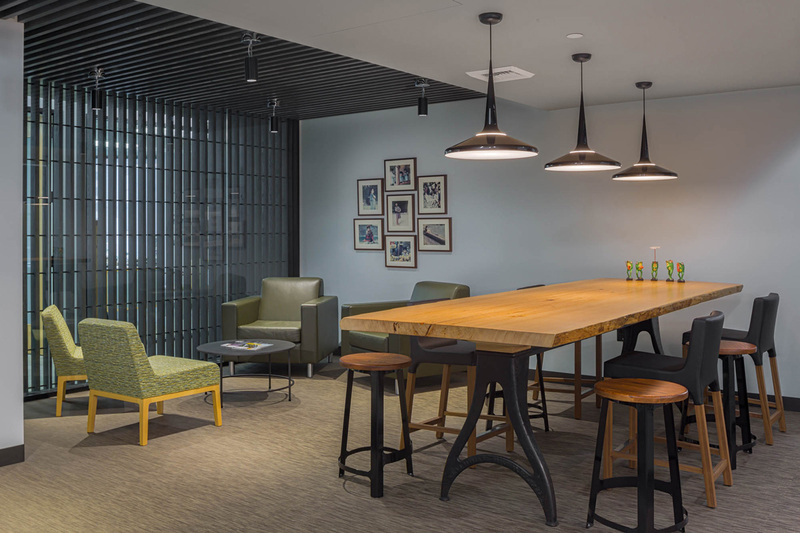 Featuring open to structure ceilings and a 16-foot oak rolling door, the space embraces a Northwest aesthetic using wood, steel and glass finish materials. 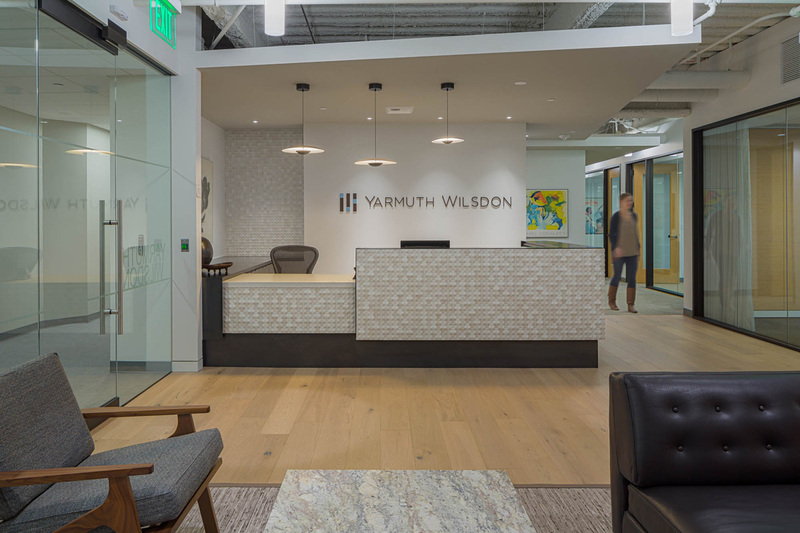 The project included a new entry and reception area, conference room, perimeter offices, and a new kitchen with wood slat ceiling. 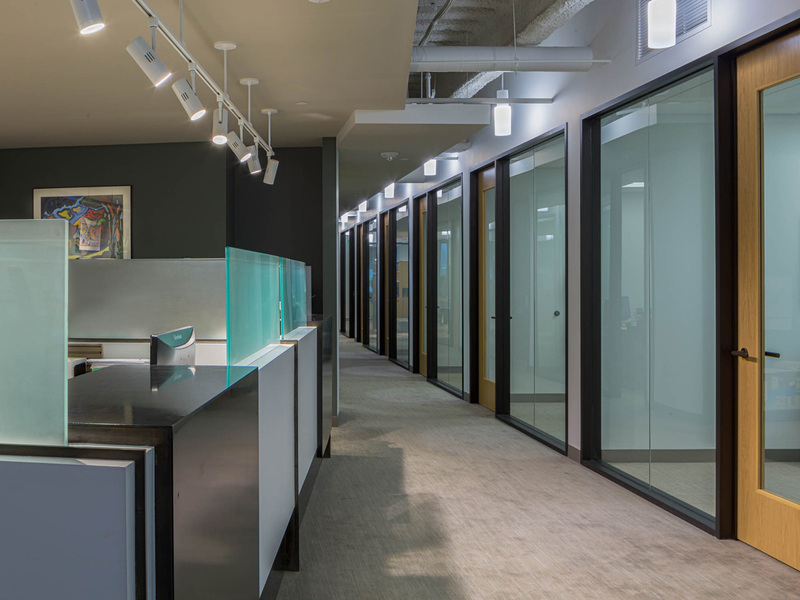 Legal assist stations feature clear glass privacy screens and blackened steel surfaces and accents. 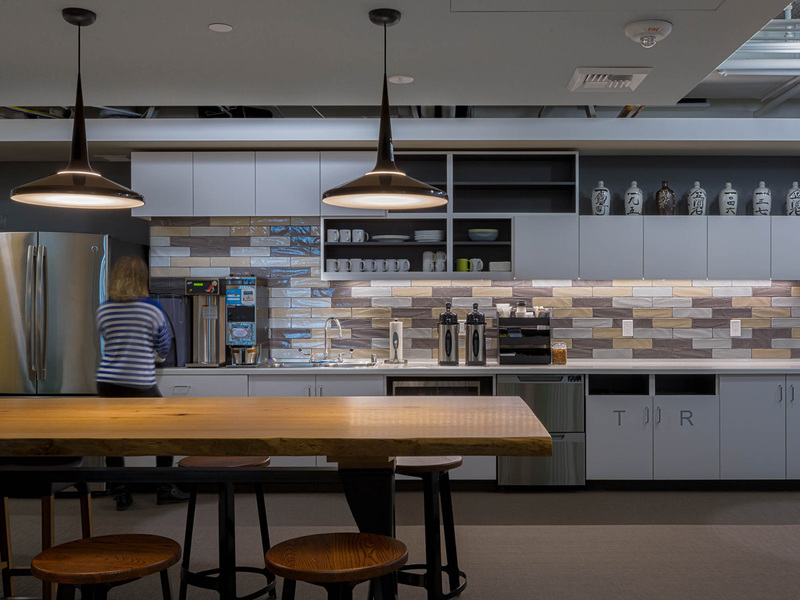 Scope also included drywall and acoustical ceiling clouds, HVAC modifications, IT server room (including electrical and HVAC upgrades), and carpet and paint throughout.